I started putting on sunscreen in the dark. It was 4:30 in the morning, the pitch-black dark pierced only by the headlamps of other runners and the headlights on the cars of occasional latecomers. The stars glittered above us, Cassiopeia in her chair, the Big Dipper pouring out its water, and Cygnus the Swan, son of Neptune, flying his endless, tireless journey. I focused on Cygnus. The improbability began two days earlier. I climbed a ridge in the back of Beehive Basin with my dad and my wife on our last backpacking day before the HURL Elkhorn 50 Mile. I told them about a video of Kilian Jornet running down Grants Swamp Pass in the Hardrock a few weeks earlier, how he had dropped down hundreds of feet of near vertical scree in a matter of seconds. Then I gave them my best impression and ran down the steep slope back to camp. After watching my descent, my dad told me I would win the race. I mentioned that I hadn’t been in danger of winning a race since middle school, but his confidence wasn’t fazed. At packet pickup the next day, race director Steve Engebrecht handed me my bib, embossed with a bright red number 1. I told him he couldn’t be serious. I said that number 1 should be reserved for a returning champion, but Steve told me that in all his years directing the race he’d never had a winner return to run again. The course was too hard. Pause. Wicked grin. Chuckle from Steve and another veteran, Scott Blum, who was volunteering this year instead of running. I tried to join in the laughter, but the joke was clearly at my expense. In the dark before the race I rubbed the gleaming line of sunscreen over my neck and arms. It disappeared into my skin, becoming part of me, becoming, along with my shoes and sleeves, headlamp and handheld, a final piece of armor wrapped around my body to shield me during the coming day. Around my muscles and tendons I had wrapped the countless hill repeats and pounding intervals; around my mind the exhaustion of endless long runs. I hoped, as Scott Jurek says, that the work would protect me during my most trying moments. I hoped I had learned how to suffer. I ran the Crystal Creek ascent next to a tall man with a red beard and a woman with the quickest cadence I’d ever heard on a runner. His name was Eric Gilbertson, and she was Becky Wheeler. I asked Eric if he planned to win, but he said no. Becky asked what time I was shooting for, and I said maybe eleven hours if everything went well. She dropped back, apparently thinking of a longer time for herself, or perhaps thinking I’d committed my hubris already. I took the lead on the single track climb up the flanks of Casey Peak. Most runners dropped their headlamps in a box at the top of the road, but I kept mine and used the extra light to accelerate by the others in the predawn gloom. I crested the ridgeline alone and dropped down into Casey Meadows, yip yip kiyee-ing a heard of black cows off the trail. I chased four elk across the meadows, heard the chirping of early morning songbirds, and startled a grouse into flight. The wilderness thrived with life, both hidden and visible. I relished the life around me. I had come home to Montana to see my family, reconnect with the wilderness, and enjoy these mountains. I cherished the opportunity to run on these trails with all the wild things, predator and prey, and to pretend to be a predator myself. On the climb toward second ridge I heard clattering on the scree above me, evidence of large animals obscured by a dense stand of lodgpole pine. More elk, or mountain goats, or maybe a moose? A bear? I didn’t know. As I ran the words of better runners echoed in my head. On the descent to Teepee Creak I heard Sally McRae talking about quick stepping down the steep technical tracks of the Western States (quick feet quick feet quick feet). Kilian Jornet described the mountain goat descending, weight over its back feet, front feet stretched forward (center mass center mass center mass). Scott Jurek – “Flow downhill like water” (momentum momentum momentum) and Caballo Blanco – “Don’t fight the trail” (easy light smooth fast easy light smooth fast). On the climb to Elk park there was Yassine Diboun’s voice “if you have to hike, hike like you’re late for work” (late for work late for work late for work) and the advice I got from Krissy Moehl “start running before you get to the top of the hill, and keep running after the next hill starts” (start running start running keep running keep running!). As I worked up the switchbacks the sun broke over the saddle behind me, bathing the sky and ground in pink and orange. I turned for a moment, awash with its glory. I ran alone through Elk Park and past Tizer Lake. The climbs were relentless, steep, and rocky. My energy ebbed away, and I felt my like stomach was liquefying. Just before the highest point of the first half I heard runners talking behind me, and on the descent to Elkhorn Ghost Town I heard the clattering of Eric Gilbertson’s feet on the rocks. I stepped aside to let him pass. He looked so strong running by, and I stumbled in his wake. At that moment I was sure I would never see him again. 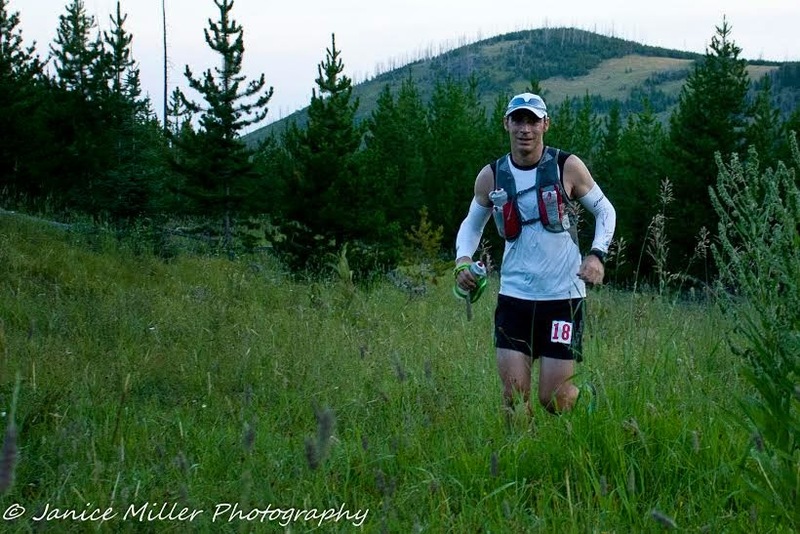 I left the aid station in third – Eric Gilbertson had left as I arrived, and Adam Parkison had passed through while I sat on the cooler. I followed their footprints in the dust past Elkhorn Cemetery. I thought of Geoff Roes’s essay on racing, not just running, and I measured the length of their strides in the dust against my own. To my surprise I discovered I was gaining on them. I found Adam at the first crossing over Elkhorn creek. He was splashing water on his head, overheated and trying to cool down. I went one step further, lying down in the icy water and rolling over, drenching myself. It helped. I passed Adam on the steep climb up Queen’s Gulch, dropped him, and soon I saw Eric pounding up the hill. I passed Eric just before Leslie Lake, but he stuck with me when I tried to pull away. We ran together for three miles before he dropped back. 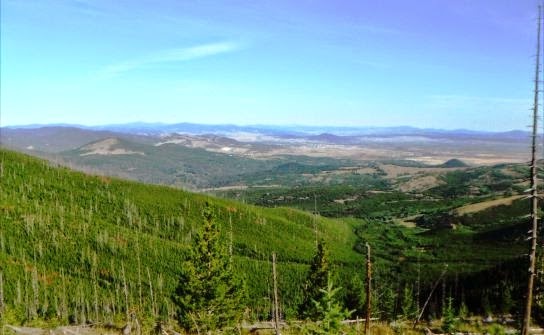 I tried to widen the gap, ignoring the screaming of my sea level trained lungs as we climbed near 9000 ft elevation on the shoulder of Crow Peak. I bounded over rock fields, followed distant signposts through meadows of waist-high grass, navigated crisscrossing animal paths deep in the forest, always looking ahead for the next trail marker. I got lost in the maze, backtracked, found my way, got lost again, rediscovered the route, and soldiered onward. A mental haze descended as I traversed the woods. I kept looking for the Tizer Creek aid station and listening for the chatter of the volunteers, but time and distance seemed to stretch boundlessly, as if they would never appear. I was so grateful for company when Scott Blum greeted me at Tizer Creek that I lingered, and soon Eric Gilbertson arrived as well. We left the aid station together, and a minute later we heard cheers for another runner. Was it Adam, recovered from the heat? Or Brian Story, who’d run smartly and conservatively over the first half, reeling us in? Had Becky Wheeler’s quick feet carried her through the field to our heels? I quickened my pace. Over the final thirteen miles I put a minute per mile on the field. 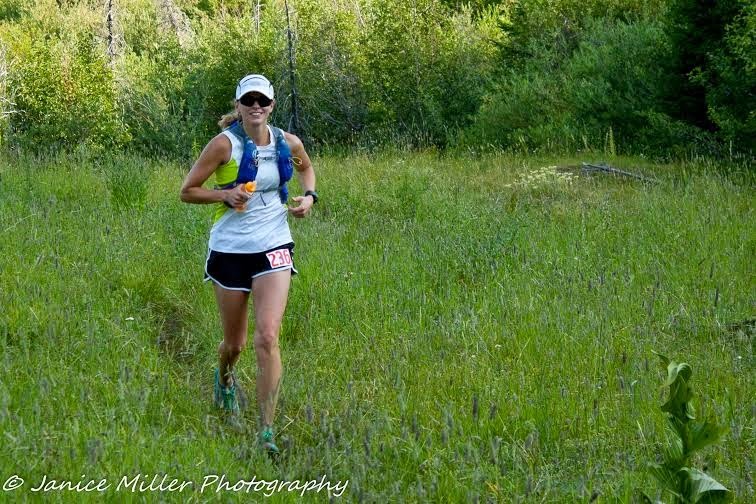 Ignoring pain, exhaustion, dehydration, sugar depletion, and all the hallmarks of every ultra runner’s race, I pushed and pushed and kept pushing. On the climb back to Elk Park I chased down a multitude of 50K’ers, trying to encourage them as I went by. On the descent to Teepee Creek I used every trick I’d ever learned for downhill running and blazed down the switchbacks. With five miles to go I found my sister, who’d hiked in from the road to pace me. 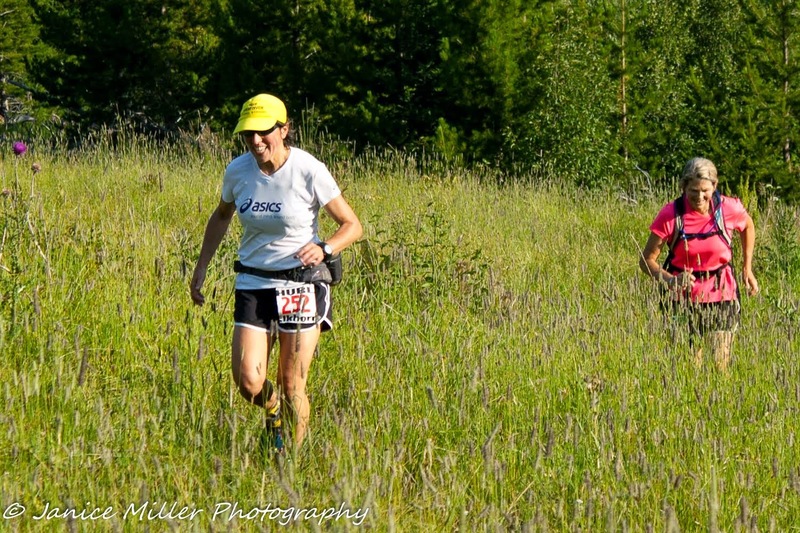 She’d had no information since my third place exit from Elkhorn Town, and she was preparing to tell me how many runners where ahead of me and how much time I had to make up. Instead, she saw me in first, and she began jumping up and down and screaming. She was super pumped, and she fed me that energy all the way to the finish. We flew down the single track, blew past the aid station unchecked, and hammered down the road to McClellan Creek Campground. There was my son, furiously ringing his cowbell. There was my wife, yelling and waving. There were my parents, chasing after me to the end. I ran under the finish banner at 10:22:52, overcome and with tears in my eyes. From my spot on a chair by the finish I cheered the other runners across the line. A few 50K’ers, then Eric Gilbertson, finishing second overall and winning the master’s division. Becky Wheeler, first in the women’s race and setting a new master’s division course record. Adam Parkison, nearly overcome by the heat in Queen’s Gulch, charging home in seventh. A multitude of others whose names I didn’t know, but whose courage and tenacity glowed brighter than the afternoon sun. As I sat there I thought about running and about winning, and somehow it didn’t make any sense. Had we really been competing? 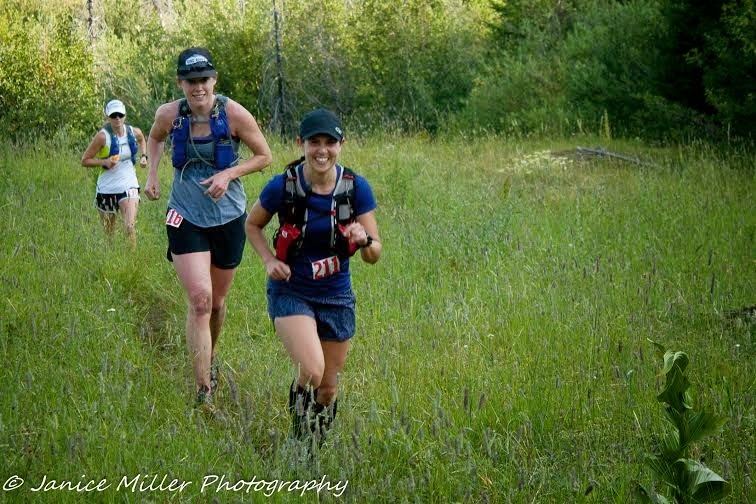 Or was the competition a mere marker on the trail toward the joy of running free in the mountains? I didn’t know, but I did think that next year Steve might have his first returning champion. I would be remiss if I didn’t mention the tenacity and decency of the volunteers at the HURL Elkhorn as well. 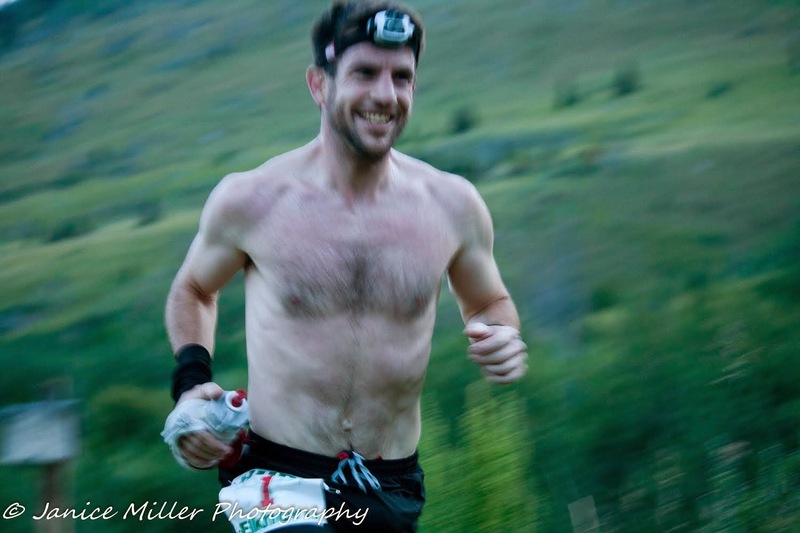 Volunteers at all ultra races go above and beyond the call of duty (just ask Joe Grant! ), but usually the aid stations are supported by easy road access with motorized vehicles. Most of the stations in the Elkhorns are accessible by foot only. Above and beyond by this measure means backpacking in the night before, carrying gels and bars, bananas, potatoes, and a hand-pumped water filter, then awaking early in the morning to purify enough water from the stream to cool a full race of runners. Doing these things with bright smiles and raucous cheering, the HURL volunteers epitomized the wonderful spirit of Montana and the race.